Unpopular politicians at Oslo’s City Hall have been removing or taxing street parking while having access to free parking themselves at City Hall’s own garage. After a rash of public protests, City Council members from the Labour, Greens and Socialist Left parties now say they intend to start imposing parking fees on themselves and may even close the garage entirely. She called for City Hall’s garage to be closed immediately and said she thought it was “strange” that the city’s Labour-led government hasn’t closed it already. “They can have a need for their cars, but that applies for ordinary folks also,” Viljugreing told Dagsavisen. Her comments come just as the city is rolling out another wave of restrictions on street parking in Oslo, also in residential neighbourhoods. Areas where parking has always been free are now subject to hourly charges, and even residents must register their cars and pay a new fee of NOK 3,000 a year to avoid hourly restrictions. The new restrictions and fees, which come in addition to major hikes in the Labour Party’s recently imposed property tax in Oslo, are infuriating many residents and even led to threats against a prominent Greens Party politician. Now at least some of the politicians are responding. “I don’t see any reason that we politicians should have any special privileges,” Frode Jacobsen, group leader for the Labour Party on Oslo’s City Council, told newspaper Aftenposten. 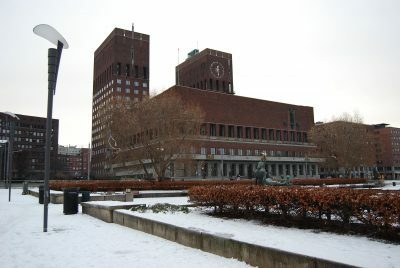 Jacobsen, Sunniva Holmås Eidsvoll of the Socialist Left party (SV) and Harald A Nissen of the Greens are now putting forward a proposal to start charging fees on politicians who use City Hall’s garage. “We want market rates, so it would be natural to compare with what’s charged at parking garages nearby,” Jacobsen said. That can range from NOK 3,000 to as much as NOK 4,930 (the rate charged at nearby Aker Brygge) per month. City Government leader Raymond Johansen of the Labour Party, meanwhile, has asked for a study of how to best use City Hall’s parking garage in the future. Proposals range from paid parking for top city leaders to converting the space into a garage for bicycles or even an art gallery. Public access to the garage, however, raises various security concerns.